Over the past few years an increasing number of my patients with low to moderate fracture risk have been prescribed a bisphosphonate. To help my patients (and readers of this blog), I have prepared this blog post with my recommended bisphosphonates osteoporosis guidelines. I am a Physiotherapist and I treat many patients with osteoporosis. 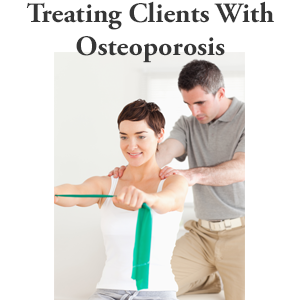 My preferred modality is safe and effective osteoporosis physiotherapy treatment for the individual. However, most of my patients have taken or are prescribed an osteoporosis medication such as a bisphosphonate, Prolia or Forteo. I am not philosophically against the use of pharmaceutical intervention and believe it is the appropriate course for individuals who are at an elevated risk of fracture. However, I believe it is important that all health care professionals who treat this population be familiar with the issues associated with these medications and can provide informed guidance to their patients. Let’s start the bisphosphonates osteoporosis guidelines with a definition of bisphosphonates. Bisphosphonates are a class of drugs developed to arrest the loss of bone density. They bind to the surface of bone and reduce the effects of bone loss caused by osteoclasts (cells that erode bone). Osteoblasts (cells that build bone) can be more effective when it comes to creating bone. At the tissue level, they decrease the rate of bone resorption and turnover, increase bone mineral density, and maintain or improve structural and material properties of bone and thereby reduce the risk of fractures. Next let’s discuss use of bisphosphonates in the bisphosphonates osteoporosis guidelines. Are bisphosphonates prescribed to people with low bone mass (osteopenia) when they are more appropriate for people with more advanced osteoporosis? Are safer and more natural ways to build bone quality — such as an osteoporosis exercise program, nutrition, safe daily activities and movements, and Vitamin D — under prescribed for people with low bone mass and osteoporosis? Since recent developments are calling attention to the potential problems associated with extended and early use of bisphosphonates, should we take a more cautious approach to their application? The US Federal Drug Administration initiated a review of the long term use of bisphosphonates and provided some degree of bisphosphonates osteoporosis guidelines because of the concerns associated with their use an the elevated risks of atypical femur fractures and esophageal cancer. Why are people with low to moderate fracture risk being prescribed an osteoporosis medication with a potential for negative side effects when osteoporosis experts are recommending bisphosphonates only for people with high fracture risk? This question has become increasingly confusing and frustrating for people with low bone density. In a recent article in the New York Times on bisphosphonates even the physicians who are quoted disagree on appropriate bisphosphonate use. The World Health Organization has developed a tool called FRAX to assist individuals in determining their fracture risk. This is a good starting point and you should consult this tool to determine your fracture risk. According to pharmacist Kent MacLeod, owner of Ottawa-based Nutrichem Compounding Pharmacy and Clinic, many of the patients he is seeing are not being assess with the FRAX before being prescribed bisphosphonates. Kent recommends that patients and their physicians use the online FRAX to determine fracture risk. In the US, bisphosphonates should be considered for an individual whose 10 hip year fracture risk is above 3% or their major fracture risk is above 20%. 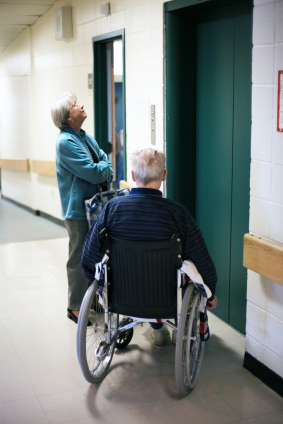 In Canada, bisphosphonates should be considered when an individual’s major fracture risk is above 20%. For individuals whose fracture risk is moderate (10 to 20%) pharmaceutical intervention may be considered dependent upon additional risk factors. The decision has become more complicated now that studies are showing an increased risk of femoral shaft fractures for people who take bisphosphonates for an extended period of time (I will cover this in more detail later in this article). In addition, the FDA recently announced an updated warning on kidney impairment associated with the use of Reclast. In a recent interview I had with one of Canada’s leading Osteoporosis Specialists, Dr. Jonathan Adachi, I asked him why many physicians are switching patients from bisphosphonate treatment to Prolia. However, the authors do believe that “there is logic to support the following clinical scenarios.” The scenarios that Diab and Watts refer to in their bisphosphonate drug holiday study reflect the degree of risk of a fracture. Diab and Watts identify four risk levels and provide guidance for each risk level as it relates to the questions of when to stop bisphosphonates use. Diab and Watts indicate that in this scenario that treatment with bisphosphonates is not needed and if a bisphosphonate has been prescribed it should be discontinued and treatment not resumed until the patient meets treatment guidelines. Diab and Watts recommend that a bisphosphonate be used for a 3 to 5 year period and then stopped. The bisphosphonate drug holiday can continue until there has been a “significant loss” of bone mineral density. What about long term bisphosphonate use and what about the possible implications? We cover this question next in the bisphosphonates osteoporosis guidelines. On May 9, 2012 the U.S Food and Drug Administration (FDA) published (in the online version of The New England Journal of Medicine) an analysis it has completed on bisphosphonates longterm use in post-menopausal women. According to the FDA, while bisphosphonate therapy has demonstrated “efficacy in preventing fractures in registration trials lasting 3 to 4 years … data on safety have raised concern regarding the optimal duration of use for achieving and maintaining protection against fractures”. These safety concerns include increased risk of femoral shaft fractures, esophageal cancer and osteonecrosis of the jaw. The findings of this analysis were presented to a joint meeting of two FDA committees (the Advisory Committee for Reproductive Health Drugs and the Drug Safety and Risk Management Committee). The committees jointly decided that the data from the analysis “did not support a regulatory restriction on the duration of drug use”. The optimal duration of use has not been determined. All patients on bisphosphonate therapy should have the need for continued therapy re-evaluated on a periodic basis. While this recommendation can appear to fall short in terms of specifics what you, as a patient of bisphosphonates, should be doing, it probably reflects the fact that the study data reviewed by the FDA was, at times, inconsistent and incomplete. In addition, the behaviour of bisphosphonate is quite complex and can vary from person to person and from brand to brand. Since bisphosphonates are absorbed into the bone during the treatment phase, they can persist there for years – even after cessation of treatment. Further, there have been no long terms studies of the effects of bisphosphonates after cessation. Basically, the FDA researchers state that more work and study has to be done and that individuals should consult, on a regular basis, with their health provider on what is right for them. This regular evaluation should include an individual assessment of the risks and benefits of bisphosphonate therapy and patient preference. A good source for your health provider to use in evaluating your fracture risk is the online FRAX tool developed by the World Health Organization and the International Osteoporosis Foundation. Clearly, the FDA and researchers are grappling with this complex issue. As someone with low bone density or osteoporosis, you want clear and easy to follow guidance on one question: Should I take a bisphosphonate? The New England Journal of Medicine published another article to accompany the FDA review. This article was written by a group of physicians at a number of medical institutes across the United States. Vertebral Fractures (i.e., fractures of the spine): Although evidence is limited regarding the risk of fracture with the continuation of bisphosphonate therapy beyond 3 to 5 years, data from randomized controlled trials generally suggest that the risk of vertebral fracture is reduced. Nonvertebral Fractures (i.e., fractures of the wrist, ribs, hip, etc): The consistent evidence of a statistically significant reduction in nonvertebral fractures with the continuation of bisphosphonates is lacking. Further, this team provides the following guidance regarding continued use of bisphosphonates – with the caveat that these recommendations could change as more research is published. Patients with low bone mineral density at the femoral neck (T score below −2.5) after 3 to 5 years of treatment are at the highest risk for vertebral fractures and therefore appear to benefit most from continuation of bisphosphonates. Patients with an existing vertebral fracture who have a somewhat higher (although not higher than −2.0) T score for bone mineral density may also benefit from continued therapy. Patients with a femoral neck T score above −2.0 have a low risk of vertebral fracture and are unlikely to benefit from continued treatment. As you can see, these physicians recommend that patients with osteoporosis and a high fracture risk should continue bisphosphonate therapy. Those with low or moderate risk of fracture will probably not see material benefit from continued use of this therapy. Since each individual’s medical profile is unique, I strongly encourage you to discuss this issue with your physician. Hopefully, articles like this one make you a more informed patient. As a general rule, if you are at a high risk of fracture, continued use of bisphosphonates is probably the prudent path. If you are at low or moderate risk of fracture, you need to weigh the risks associated with long term use of this drug (as defined earlier in this article) and the research that is showing that there is no evidence that bisphoshonates cause a significant reduction in nonvertebral fractures. 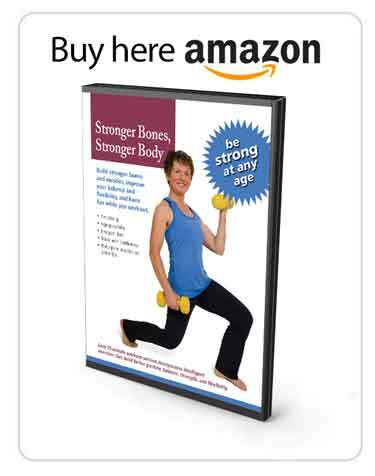 And, of course, a well designed osteoporosis exercise program is something that everyone should be following. Expect to hear more about this debate in the coming years as researchers spend more resources examining the long term effects of this drug. Clearly, people within the FDA and researchers in the field have concerns with the continued long term use of this drug and its effectiveness when it comes to reducing fracture risk. The problem today is that there is not enough data to provide definitive guidance or change the FDA’s regulatory position with regard to this drug. The FDA article goes into a lot of detail as to what the study involved. For those of you not interested in reviewing the article but still interested in the mechanics of the study, here is a brief summary. The FDA examined the long term effects of three bisphosphonates: Fosamax, Reclast and Actonel. One study group took the bisphosphonate and the other took a placebo. The FDA studied the effect of the various bisphosphonates on changes in the bone density in the femoral neck and the lumbar spine. They also looked the effect on vertebral fractures. The FDA found that continued use of bisphosphonate therapy beyond five years lead to “maintenance of bone mineral density in the femoral neck and further increases in bone mineral density at the lumbar spine”. However, the FDA review found that the “data raise[s] the question of whether continued bisphosphonate therapy imparts additional fracture-prevention benefit, relative to cessation of therapy after 5 years.” It was this finding that caused the FDA to issue the label change mentioned above. Can you experience a femur fracture as a result of bisphosphonate treatment? We cover this question next in the bisphosphonates osteoporosis guidelines. A study was just recently released in the Journal of the American Medical Association (JAMA) on prolonged bisphosphonate therapy and the increased risk of femoral shaft fractures in older women. Treatment for five years or longer was associated with an increased risk of femoral shaft fracture. In the following video, I discuss this study and its implications for you. The study can be found at the JAMA website. Today, I’d like to talk about a recent study that was published in JAMA, the Journal of the American Medical Association. In these bisphosphonates osteoporosis guidelines they spoke about unusual fractures related to bisphosphonate use. As a person with osteoporosis, or low bone density, if you’re on a bisphosphonate, you might be a little bit concerned about this study, so I thought I’d bring up a couple of points. First of all, I’d like to take you into the anatomy of where these fractures are occurring. We’re going to zoom right in to the bones of the lower leg, specifically the thighbone. The thighbone is also referred to as the femur. In individuals that have osteoporosis, most typical fractures that occur, and thousands and thousands unfortunately occur a year, most of them occur in either the neck of the femur, which is this region here. What’s called the intertrochanteric area, which is between the two trochanters that you see, this region right there. So those are typical fractures that we see. People get admitted to hospitals all the time because of this very severe fracture. That’s a typical osteoporotic fracture, and that occurs in that part of the femur because that’s the part of the femur that has more trabecular bone, the higher proportion of trabecular bone. What the study showed when they looked at over 700 women who had actually had these unusual fractures, these unusual fractures were actually in the region of the femur below the intertrochanteric area, or also referred to as the shaft of the femur. What’s concerning is that the shaft of the femur has a lot more cortical bone, which is usually known as really good, hard bone. Obviously, people that are on bisphosphonates for over five years, the bisphosphonates have an effect not just on the trabecular bone, but also on the cortical bone. What should you do with that information? One thing is that if you are at all concerned, you should definitely talk to your doctor before you discontinue your medication. If you are already at a high fracture risk, and you haven’t been taking a bisphosphonate for five years, chances are you might be recommended to continue your bisphosphonate. If you are at a moderate fracture risk or a low-moderate fracture risk, you should definitely have a discussion with your doctor as to whether or not a bisphosphonate is the best approach for you. Whether you are at a low, moderate, or high fracture risk, obviously I’m coming from the arena of exercise is the best prescription, and we know that it helps build quality of bone. But exercise is going to help you recover from a fracture as well, so you really should consider starting an exercise program, regardless of your fracture risk. I hope that this allows you to have a little more clarity on the study and on the fracture sites, and thank you for tuning in. Now onto the next topic in the bisphosphonates osteoporosis guidelines. What are the alternatives to bisphosphonates? We cover this in the bisphosphonates osteoporosis guidelines. Are these women receiving osteoporosis medications prescriptions because the manufacturers of bisphosphonates (pharmaceutical companies such as Merck and Novartis and others) have been promoting bisphosphonates to prevent osteoporosis? Actonel (manufactured by Warner Chilcott) advises you and your physician to “Act Early with Actonel”. Reclast (manufactured by Novartis) states that it is “FDA approved to treat osteopenia so that it does not become osteoporosis”. The choice to take a bisphosphonate prescription (or any other osteoporosis medication) is yours. 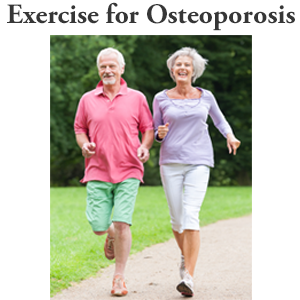 However, you should always follow a prescribed exercise program for osteoporosis. Follow a prescribed osteoporosis exercise plan that not only includes weight bearing for bone building but also includes balance, posture, strength and flexibility exercises that reduce the chance of a fall. Practice perfect posture and modify how they do their household chores (known as their activities of daily living), exercise routine, yoga practice, and pilates moves that can increase their risk of fracture. You should also determine whether you are getting adequate Vitamin D and are following a proper nutrition program for your bone health. As I mentioned earlier in this bisphosphonates osteoporosis guidelines post, Dr Adachi indicated that many physicians are shifting their patients from bisphosphonates to Prolia. However, Prolia is not without its challenges as discussed in my post, How Long Can You Take Prolia. (1) Diab, Dima and Watts, Nelson, Bisphosphonate Drug Holiday, Therapeutic Advances in Musculoskeletal Disease, 2013 Jun. These bisphosphonates osteoporosis guidelines have covered a wide range of questions my clients have about bisphosphonate use including when to stop bisphosphonates, the implications of long term bisphosphonate use, bisphosphonate fenmur fracture and alternatives to bisphosphonates. Thank you so much for this update on bisphosphonates. I’m so confused about this treatment. I live in the UK and because I have refused the offer of this drug, they won’t do another DEXA to see if my bone density has improved with my exercise and diet “prescription”. I’m only 52 and although I have a poor spinal T score (I also have stomach problems), I don’t feel this drug is right for me at this time. And I’m being made to feel guilty for my choices! Thanks for addressing these issues as I never feel I get enough information from the medical community here. In the future, will you be looking into the benefits of different types of calcium (Whole food calcium in particular), K2, and or strontium? Thanks again Margaret for keeping us informed. reflux for three days after taking the meds. I told my doctor that I was going off this medicine and was going to up my exercise level ( following your workouts) plus a three day a week regime weight lifting. I also make sure I am taking vit. D.
Thanks for this timely areticle, Margaret. Hi Elizabeth, Your right to have a DEXA should not be dependent on your choice intervention. The recommendation is to wait 2 – 3 years between DEXA scans because of the slow rate of turnover that our bones have. I have been hearing from several women who are being “made to feel guilty” for their choices. You know your body best of all and along with your health practitioner should be encouraged to make the best decision for you. Many doctors are educated about osteoporosis from the pharmaceutical companies and so it is the option they go to. Most doctors have little or no training in exercise and nutrition. We will have future blogs on strontium and K2. Thank you for the suggestion. Be well. Hi, Margaret, I just recently got diagnosed with moderate to severe osteoporosis with a high risk of spinal fracture. My doctor prescribed fosomax. I took my first pill and that evening my calves got all balled up and were cramping, I had a pain in my groin and my knuckle on my right hand next to my pinkie was swollen and hurt like I had broke it. Needless to say I have not taken any other pill. I don’t know what to do now. I researched all those types of medications and they all had horrible side effects. I’m only 57 so however I decide to treat this will be my new lifestyle I adopt which will be for many, many years. God willing… I have been looking for real foods and other supplements to treat my osteoporosis as well as exercise that is safe. At the present time I am taking a calcium 600 + vitamin D3 combination chewable, one in the morning one at night. The only other medication I take is synthroid which I have been on for 30 years. 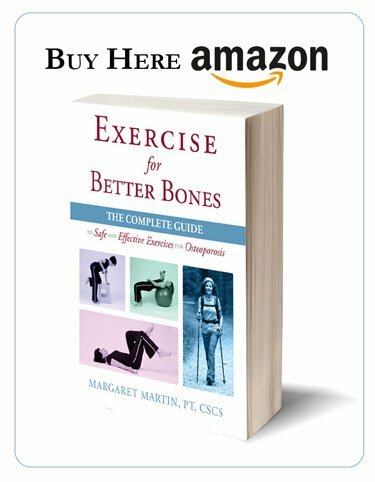 I’m looking for more natural way to build my bone density back and didn’t know if you knew of success of building bone back without the medications that my doctor offered me such as fosomax, etc…..
Margaret, as a 51 year old small frame, white female recently diagnosed with osteoporosis (high risk), I am truly overwhelmed. I have not even hit menopause, and I’m on a thyroid drug known to cause bone loss. Looking back, I have been fairly active in my life although I never made calcium a priority in my life (even with knowledge of my mother’s history of osteoporosis and fractures). My doctor has recommended Boniva, but I”m not convinced this drug or Prolia is right for me given that I’m only 51! Thank goodness I’ve not had any fractures to date. Also, thank goodness for your books and blogs!. Since discovering them, I am focused daily on my diet, my posture exercises, balance and flexibility, and strength and cardiovascular exercises. I am also focused on the mechanics of how I move throughout the day. With the expertise you have provided, I am hopeful I can improve my bone density or at least mitigate further loss. I am also going to find a physiotherapist near me to help monitor my exercise plan. Thank you for your wonderful books and your attention to osteoporosis. Maria, you are not alone in how you are feeling about your diagnosis. You figure you’re doing all the right things and a left hook comes out from no where. I love how you have channeled your energy into taking care of yourself and so glad that my books and blogs can be of service. The good news is that you have not yet hit menopause. By this I mean that armed with the information you now have on building bone it is much easier to do so when you have hormones on your side. If you know you are in perimenopause or when you hit menopause you could discuss HRT with your gynecologist as an option for you. Thank you for taking the time to comment and for your kind words. Be strong.